Witnesses across Australia are reporting encounters with tan, dog-like animals. 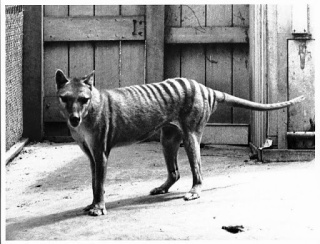 Is it possible that the Tasmanian Tiger escaped extinction, and still roams the wild places of this island continent? Restricted Access is a youtube magazine that aims to explore the world of paranormal. Our main goal is to inform our viewers about the latest and the most interesting cases of the paranormal and at the same time present both sides of the coin. We leave the final decision to you!